American software developer Virtual Instruments has launched WorkloadWisdom - an updated version of the storage workload simulation tool previously known as Load DynamiX Enterprise (LDX-E). 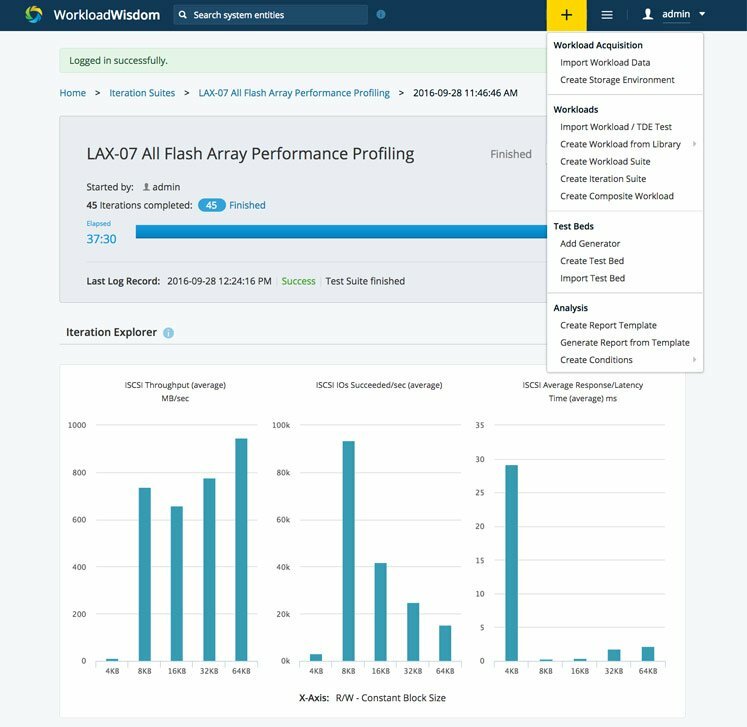 WorkloadWisdom 6.0 enables customers to use existing workload metadata to test the performance of storage systems, without having to move the workloads themselves. Customers can also choose from a variety of templates corresponding to popular use cases. Besides the name change, the latest version adds a new user interface, improves speed of report generation and boosts overall database performance. 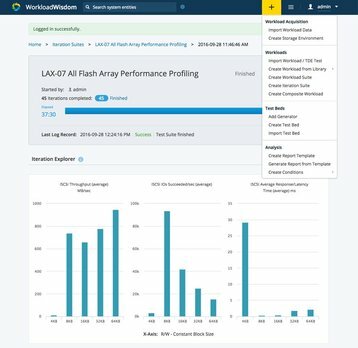 WorkloadWisdom is available with a 2U workload generation appliance optimized for maximum performance, or a virtual appliance optimized for cost. Load DynamiX was developed by an eponymous start-up based in Santa Clara, which was acquired by Virtual Instruments in 2016. It’s a platform for storage hardware testing and monitoring that lets customers validate the performance of their arrays without having to rely on vendor benchmarks. WorkloadWisdom can tell users how their storage would perform in real-world scenarios, without having to risk any disturbance to their production workloads. The software connects to a Workload Generation Appliance – a ‘lab in a box’ – to generate meaningless, synthetic data that has all the attributes of a real-world traffic load. According to Virtual Instruments, a single 2U appliance can replace 10U of test servers. WorkloadWisdom also features ‘integration suites’ that can tell the customer what are the best and the worst use case scenarios for a particular storage array, and predict the results of various configuration tweaks. “Virtual Instruments has a deep understanding of the critical role and value that storage delivers across the enterprise IT stack,” said Tim Van Ash, SVP of products at Virtual Instruments. Hyperconverged infrastructure vendor Nutanix is one of the company’s flagship customers. “WorkloadWisdom has become integral to how our engineering and QA teams ensure the superior quality and performance scalability of the Nutanix products,” commented David Sangster, EVP of engineering and operations at Nutanix. Event News How can simulation provide a more reliable uptime?